Tapas, restaurants in Bullas, traditional gastronomy, where to eat. The typical gastronomy of Bullas has inherited the rich Murcian gastronomy, showing its own and distinctive touches, where the interior local products stand out. Bullas typical dishes are based on the Mediterranean diet and fresh seasonal products, obtained directly from the orchard, fruits and vegetables accompanied by various meats, derived from the slaughter of the pig and, to a lesser extent, traditionally salted fish, also called “salazones”. Strolling through the streets of Bullas you can have several different types of tapas from the many bars and terraces. 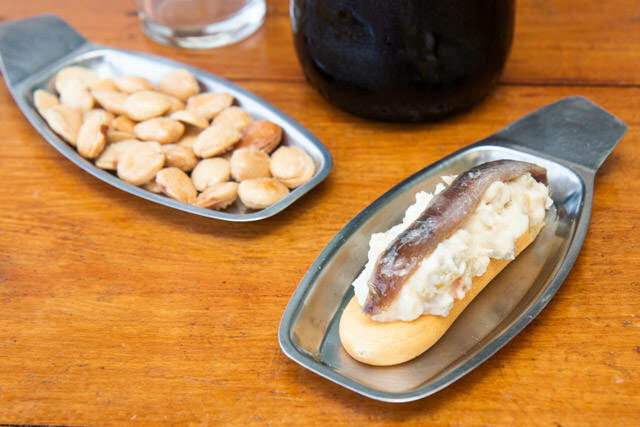 Most famous tapas are almonds with roe & traditionally salted fish, “marineras” (breadstick with russian saland & anchovie), “michirones” (a stew of broad beans, meat, lemon, mint & spices), zarangollo (orchad mix & eggs on a slow burn) baked octopus, Murcian salad, homemade olives and a great variety of snacks and fingerfood delights. Local gastronomy is based on the resources of the area, fruits & vegetables, cereals, wine, game meat and more. 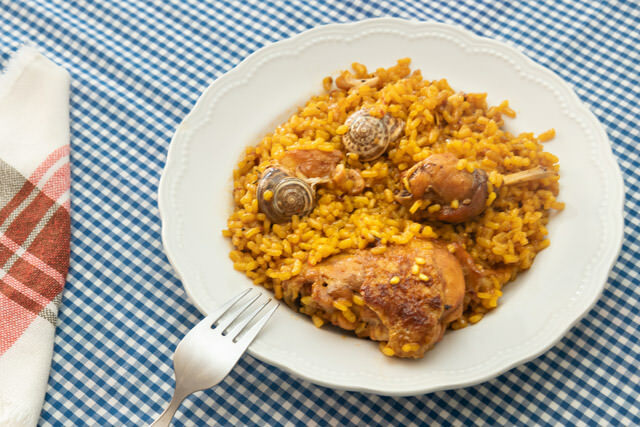 A few worth tasting dishes are: rice paella with rabbit and snails (made in a bonfire of vine shoots), ajoharina & chamorro (traditional stews) the famous “Migas” (slightly fried bread crumbles accompanied with meat, sardines or even grapes). Always paired with the excellent wines of the D.O.P. Bullas. Local artisan bakeries are a must stop, where you will enjoy typical desserts made of brioche, egg, honey… and the very famous “Torrijas” (a soft brioche slightly fried and sank in homemade syrup). Just before local & holiday fairs, there are pastries and typical sweets for every occasion. As a prelude to Holy Week, fried cakes are typical, a simple recipe similar to donuts that are accompanied with sugar. At Christmas, enjoy different elaboration of rolls, pastries and “mantecados”. Do not miss the famous “Toñas”; pastries of Arab influence where you will feel the aromas and textures of the region; almonds, honey, olive oil, herbs are the main ingredients of this pastry, present at every home during Christmas. In Bullas and its surroundings, you can also enjoy restaurants that have managed to combine tradition and avant-garde cuisine, offering surprising and careful delights for all tastes and occasions. A reference in the gastronomic landscape in the Murcian Northwest, it combines creativity, quality and innovation. An interesting stop in Bullas if you are curious on different flavors and texture combinations, also with local and national wine references. It is located in the center of Bullas. More information on your Facebook page. Thanks to Marín family, here you will feel the essence of the local gastronomy made with exquisite products, which fuse masterfully tradition and modernity. Local and national wine references, great variety in ripened meats, rice paella, stews and homemade desserts. It is located in la Paca, a village between Bullas and Caravaca de la Cruz. From Bullas, a snaky road will take you across the picturesque landscape of the Aceniche Valley, you will enter into a scenery jewel that will take you to the village of Avilés, in the highlands of Lorca. Located in the Old Town of Bullas, Entretempos is a cozy restaurant for tapas and more, local and regional products, and a large wine cellar including D.O.P. Bullas, national and international references.